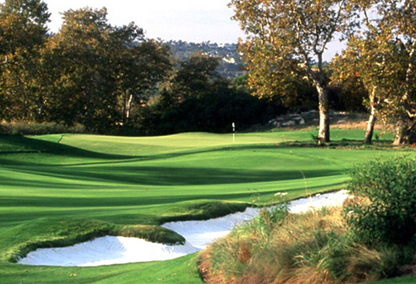 Shady Canyon is flanked by two gated entries to the East and West. It features extensive trails, many lined by stone walls modeled after those found in Provence, France.- Perched on a rise near a group of rock outcroppings, the Tennis and Swim Center, which will also serve as the temporary custom homesites sales office, includes a junior Olympic swimming pool and spa. Centrally located to Newport Coast, Laguna Beach and shopping centers such as Fashion Island, South Coast Plaza, Irvine Spectrum, and much more. Provence, Tuscan, Adobe Ranch, Santa Barbara and Andalusian styles. All homeowners are automatically members of the HOA and pay monthly assessment dues. The Shady Canyon Tennis and Swim Center is available to all residents through the Shady Canyon Community Association* (HOA). This complex offers approximately 3,000 square feet of indoor area in addition to expansive outdoor decks, patios and loggias. It is designed in a refined Santa Barbara Colonial style and is built to the highest design specifications. The Tennis and Swim Center includes many opportunities for socializing, exercising and relaxation. Shady Canyon Golf Club is at the center of the unique residential and golf preserve called Shady CanyonTM. Golf Club members enjoy use of the Tom Fazio 18-hole championship Golf Course, the Main Clubhouse and the Fitness and Swim Club. The private club embodies the ideals of an institution devoted to the highest standards of the game. Owner and Developer: Irvine Community Development Company LLC, a subsidiary of The Irvine Company, Newport Beach, California. Golf Course: The private Golf Course incorporates 300 acres of rugged terrain into its dramatic layout. Renowned golf course architect Tom Fazio routed the course’s 18 holes behind crops of boulders, alongside Shady Creek and East Shady Creek, and up to scenic elevations. Golf Course Yardage: 7,012 from the back tees. Clubhouse Design: The design of the Clubhouse derives from that of Wallace Neff, who helped establish the architectural reputation of Santa Barbara. This style is distinguished by the Main Clubhouse’s entry tower and by its deep-set windows. The Clubhouse also includes elements such as: loggias; steel French doors that grant access to courtyards and terraces; deep arches and timber-beamed ceilings; wood plank doors and hand-carved accents.